The beginning of our Bengal adventure started with Dehra (photo to the left) and her three cubs Basera, Sajiba & Lajuka who arrived at Lincolnshire Wildlife Park in January 2015 in need of a new home. Even with this being one of the biggest commitments for Steve to make, he took on the task and housed them in our new Animal Holding Enclosure, while raising funds to be able to build their amazing new enclosure “Bengal Gardens“. We now have an amazing 11 Bengal Tigers in total; our original 4 plus two males named Skah & Sangha and five more females named Princess, Soutanna, Kumari, Indya & Bella. Come and see their amazing new enclosure and get an amazingly close experience at one of the most advanced research facilities in the U.K.
Tigers are fascinating creatures and no Tiger has the same stripes as the next, the special white markings on the back of their ears act as ‘eyes in the back of their head’ to warn off other challengers and give the impression that they are always watching! 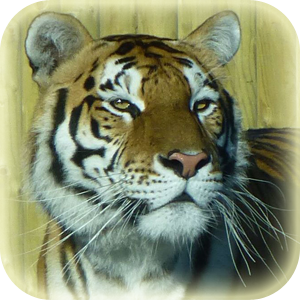 Find out more amazing facts about the Bengal Tigers when visiting their enclosure. America’s very own ‘Big Cat’ prowls into Lincolnshire Wildlife Park! This gorgeous cat named Nigel… slightly unconventional but quite appropriate to his characteristics; is now on show in the Animal Holding Enclosure. He is loving his new surroundings and will often come up close to the glass viewing windows to show off to on-lookers! Nigel is quite an old boy with impaired sight in one eye, making him quite timid but also very gentle. 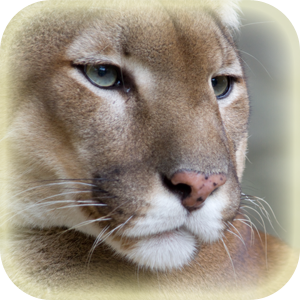 Pumas originate from America, and were spotted at such widespread areas that they got given many different names by local tribes & explorers; known as a cougar, mountain lion, Florida panther or Catamount. In-fact, there are actually over 80 different names for these cats & unlike most other species they do not live in packs, they prefer a solitary lifestyle. 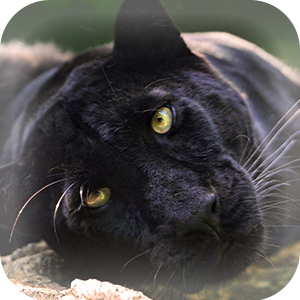 Our newest addition to the park is our beautiful and majestic Black Panther named Zuri. He has come to us from Drayton Manor Park for a retirement home and is settling into his new surroundings, therefore he is sharing Nigel’s enclosure in the Animal Holding facility for the moment while we make sure he is completely happy. Although they share the enclosure, they cannot be out at the same time as each other so please be patient when visiting. They rotate their rest time and exercise time throughout the day, so you will see them both but at different times of day to each other. His species is very interesting and Black Panthers that are found in Asia & Africa are Leopards, whereas if they are found in America they are Jaguars. When you look closely at Zuri you can see that he is leopard print, however his dark fur hides it! This is called ‘melanism’ and you may see another name for him being a Melanistic Leopard because of this. It is caused by a dominant gene which over-produces melanin (the substance that tans our skin!) It just makes him all the more strikingly beautiful and we hope you enjoy viewing him in his enclosure when he is comfortable in his surroundings; this can sometimes take a while so we will try to keep you updated on our website and social media pages. Clarence & Kola were the first Ring-tailed Lemurs to arrive at the park in 2009 as a pair, and every year since they have provided us with gorgeous Lemur pups, often being born in front of our visitors! This gentle species are one of the focuses of our animal experience packages as they are such a pleasure to interact with and are such a gentle and close family unit. Watch them leap from branch to branch with such ease and read about their interesting habitat on the remote island of Madagascar. Lemurs are highly social primates which are often seen living in groups of 17 and above, they are female dominant which means the males do not really get a look in until the females say so! Although you’ll see them swinging from branches, they are often ground-dwellers seen foraging for food. They are extremely vocal, using different calls to alert danger & using scent to mark dominance. 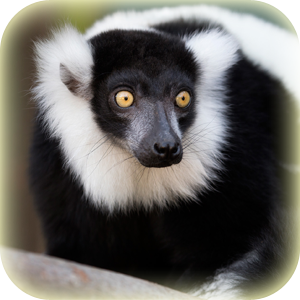 We have 3 Black & White Ruffed Lemurs at the park, which arrived back in October 2016. 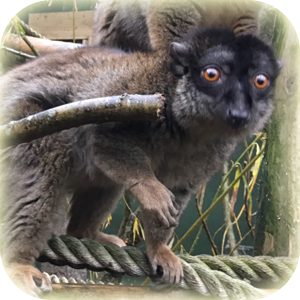 So they are still fairly new residents but are used to living together and are very gentle lemurs, despite their larger size in comparison to our Ring-Tailed & Common Brown Lemurs. They are classified as Critically Endangered on the IUCN Red List, so there are not many left in the wild and are indigenous only to the African Island of Madagascar. Together with the Red Ruffed Lemur, they are the largest species amongst Lemurs and spend most of their time high up in the forest canopy. They can live up to 36 years of age in captivity and although they are gentle, because of their size and wild nature they cannot be a part of our popular Lemur Feeding experiences. They live next door to our 3rd species of Lemur, the Common Brown Lemur, at the park. The Common Brown Lemurs at the park arrived at the same time as our Black & White Ruffed Lemurs, and live happily next door to them too! 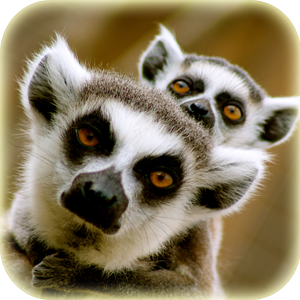 There are 4 Lemurs and they are much smaller and stranger looking than our other two species. They belong to the Island of Madagascar but can also be found on the Island called Mayotte; although they are thought to have been taken there by man originally. They have short dense fur which is usually brown in colour with bright red/orange eyes. They are quite unique in the fact that their diet can be quite varied; they usually eat fruits, leaves and flowers but will also eat small insects and bark, sap and even soil! They have a much higher tolerance to toxic compounds found in plants than other species. They are generally more active during the day, but have also been monitored as having high levels of activity at night, especially during the dry season and during a full moon! 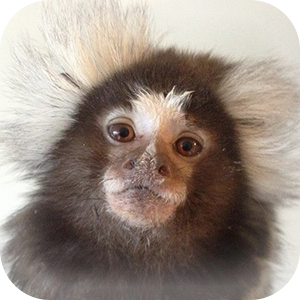 We have recently adopted 4 Marmoset Monkeys from Drayton Manor Park to live out the rest of their lives with us at Lincolnshire Wildlife Park. They are great little monkeys and are living together in their enclosure next to our Ring-Tailed Lemurs. They are only very small monkeys, measuring an average of 20cm and are native to South America. They are one of 22 species of New World Monkey; including species such as the Buffy-Headed, Black-Headed, Emilia’s and the Gold & White Marmosets. They are highly active and live in the upper canopy of forest trees, feeding on insects, fruits and leaves. They live in groups of around 15 and most members will play a role in caring for any off-spring, taking it in turns to carry them around on their backs and bellies! 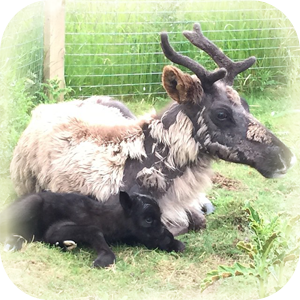 Just next door to Ozzy our Emu you will find our reindeer, Mother Lexi & Son Boomer. These interesting creatures are very timid and wary of people at first, until they get to know you. They have taken a particular liking to Steve, Lincolnshire Wildlife Park’s CEO… following him all around the enclosure when he visits and occasionally sneaking up on him when he’s not looking to see what he’s up to! Reindeer are mainly from arctic tundras, and have some very interesting qualities. Their hoof pads soften and widen in warmer weather to walk with ease on the soft ground, in colder weather their pads shrink exposing their sharp hoofs which are able to dig into the ice for extra grip. Their antlers are like a human’s fingerprints, no Reindeer’s antlers are the same! 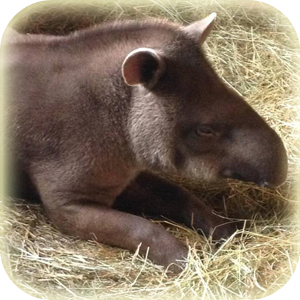 Our Brazilian Tapir is named Cecil and contrary to his species, he is very gentle and friendly. Tapir originate in the wet Brazilian and South American rain-forests and are very agile and great swimmers and divers; despite their ‘heavy’ physique! Tapir are related to the rhinoceros and have special splayed toes to help them walk through soft muddy grounds, such as those near the waters edge. A group of Tapir in the wild is called a candle and baby Tapir are called calves. Calves have very different markings to adults, they are striped with white bands which helps to camouflage them in the wild. A visit to Lincolnshire Wildlife Park means you will be able to see just how lovely Cecil is when he comes over to greet you, see his amazing features & watch him cool off and bathe in his pool. One of the most popular animals in most Park’s are Meerkats, they are very interesting and humorous to watch while they dig & play. Their enclosure at our Park is designed with play in mind for these little creatures…visit Meerkat Wild Western Town. 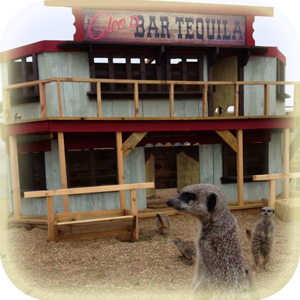 Witness our Meerkats stumbling out of Cleo’s Tequila Bar or digging in the cowboy’s graveyard, you’ll also see them enjoy an afternoon siesta in the barn! You can buy Meal Worms from reception to feed to these furry little relatives of the Mongoose; they’ll run up to you for that special close-up photo. Not only is their enclosure interesting but it is designed with all in mind, with low viewing points for children and wheelchair users. In the wild one of the most important jobs is that of the sentry, who is the ‘look-out’ of the gang. They find a high point to look out over the African plains & alert the others of any danger from predators. Did you know you can feed our Meerkats? Buy your treats for just £1.00 from our Animal Snax kiosk within the park on your next visit! At Lincolnshire Wildlife Park we have a pair of Asian Small-clawed Otters, also known as Malaysian or Oriental small-clawed or Asian clawless Otters. They are extremely cute but extremely shy and love to swim in their pool and hide in the reeds. With rocks to play with and grasses to roll around in, their enclosure is a haven for their species. They have very aquatic features, including long streamlined bodies, webbed paws & small round ears which close when under water. Their fur is very dense for warmth, meaning these mammals are extremely versatile in most weathers… although ours do love their cosy nest boxes packed out with straw. 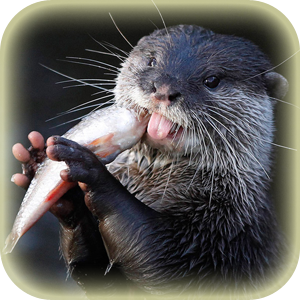 The animal keepers usually feed them near the viewing points of their enclosure so watch out for them impatiently waiting for their fishy treats!